Cook for 40 – 45 min. or just until rhubarb is tender. Serve with vanilla ice cream or whipping cream. Rich and addictive! This is the dessert that Rosemary’s kids ask for when they come home to visit! 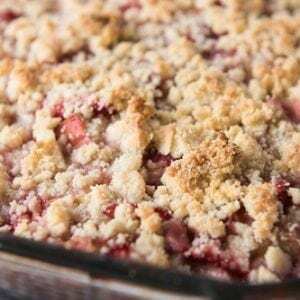 The tartness of rhubarb and the sweetness of raspberries combine under a double thick (don’t you hate running out of crumble topping??) oatmeal crisp. Place a dollop of whip cream or a scoop of vanilla ice cream along side this treat for a great end to any meal. Bake from frozen. Serves 6-8. Remove the number of cookie dough balls you would like to bake from the bag and return the rest to the freezer. 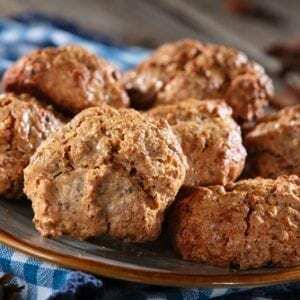 Place the balls of cookie dough 2 inches apart on a nonstick or greased cookie sheet. Bake for 9-12 minutes if thawed or 11-14 minutes if frozen solid, or until just brown at the edges. Enjoy! These chewy cookies are packed with the flavours of chocolate, almond toffee, oats and crunchy almonds. Not too rich despite the description, they are a staple to keep in your freezer for “emergencies”! Pre-rolled, this order contains the made-from-scratch dough for two dozen cookies! Just put them in the oven and you are ready to bake up something special when guests drop in! 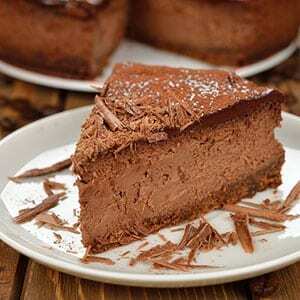 A decadent dessert, perfect to have in your freezer and serve when special guests pop over for a visit. The flavor is rich and creamy with a wonderful touch of mocha. Serves 6-7. 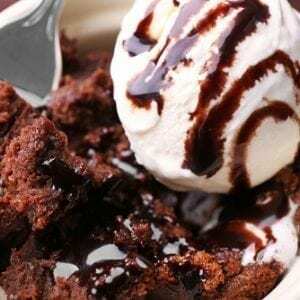 Treat your special someones to this wonderfully decadent chocolate pudding cake with a molten chocolate center. Easy from frozen, these will bake while you enjoy your supper!